CHARTER. The Flight Test Safety Committee (FTSC) is an international non-profit organization formed jointly in November 1994 by members of the Society of Experimental Test Pilots (SETP), the Society of Flight Test Engineers (SFTE) and the American Institute of Aeronautics and Astronautics (AIAA). Download the complete FTSC Charter. The Flight Test Safety Committee (FTSC) was formed jointly in November 1994 by members of the Society of Experimental Test Pilots (SETP), the Society of Flight Test Engineers (SFTE) and the American Institute of Aeronautics and Astronautics (AIAA). These and numerous additional organizations presently comprise the FTSC. 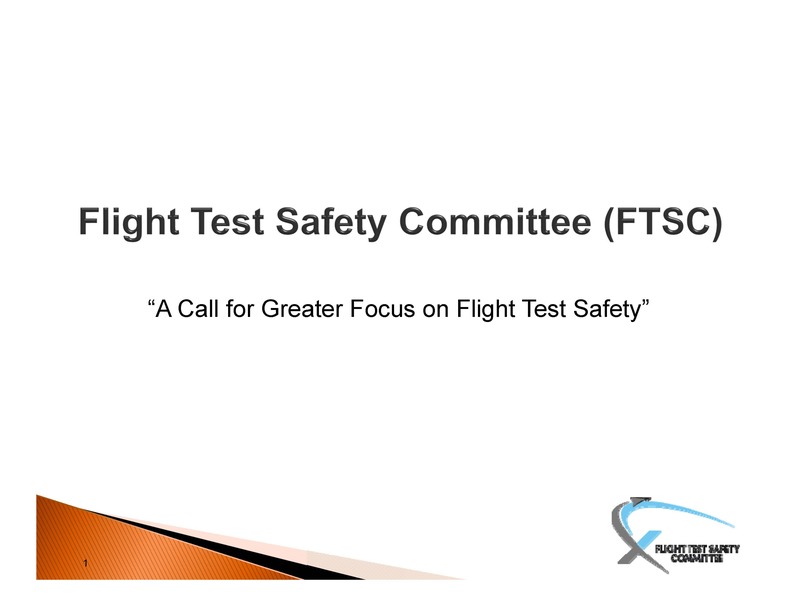 The purpose of the FTSC is to initiate and sustain a flight test related safety organization intended to promote flight safety, reduce the risk of mishap, promote risk reduction management and continually improve the profession's communication and coordination. To facilitate these goals, the committee will develop, implement and maintain a computerized data base, readily available to all members and member organizations, containing flight test-related data collected from the industry. To foster an interchange of information related to "flight test lessons learned", in order to reduce potential mishaps. To promote an atmosphere of sharing "lessons learned" and "best practices" for risk reduction management. To direct the effort of flight test safety through education. To gather information to compile the database to accomplish the goals of the charter. To assimilate the information in a user-friendly computer based system, provide world-wide access and update the database as information becomes available. To ensure that the data collected, used and distributed from this effort does not reflect upon the prior actions, incidents or accidents of the members or associated organizations.